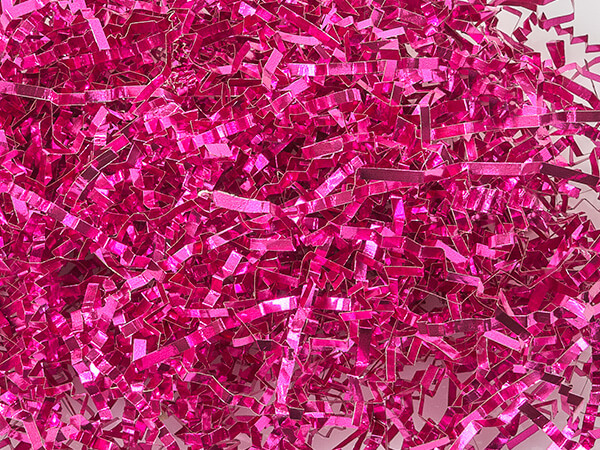 Metallic Fuchsia Crinkle Cut™ Shred (Zig Fill) is perfect for adding shimmer to any arrangement! Actual shred size is 1/8". Shred is made of metallized film laminated to paper.. Sold in 10 lb. cartons. Green Way® Eco-Friendly Packaging. Made in the USA.